Our team of glass pool fencing installers work all over Joondalup and all the surrounding northern suburbs of Perth. Finding a high quality glass pool fence supplier and installation team in Joondalup can be difficult. If you’re looking for a team with a great reputation for excellence and years of experience in the pool industry, then you’ve come to the right place. Here at Clear-Az-Glass Fencing we specialise in glass pool fencing and balustrades, and our team has built their skills through decades of hard work and training. 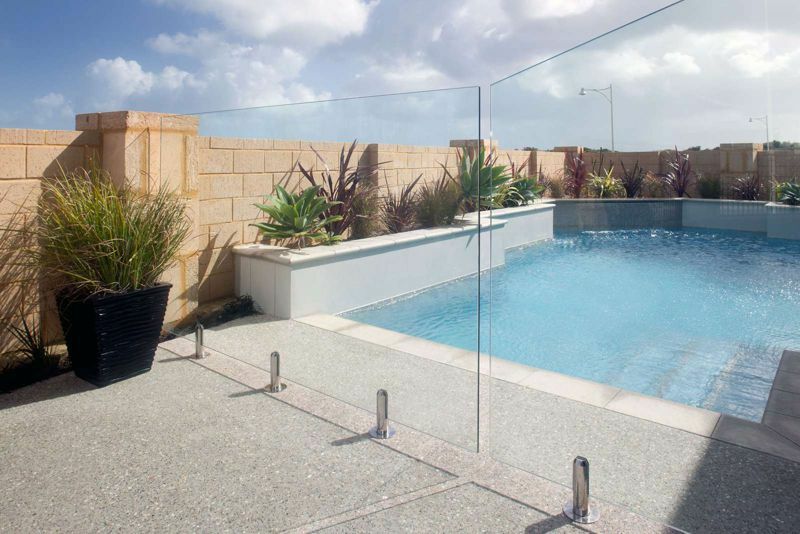 We believe that we’re among the best glass pool fence suppliers in the Joondalup region. As a small, family owned business, we put the focus back on you, the customer. Instead of simply trying to make as much money out of you as we can, we aim to leave you happy and satisfied with our work. What Things Set Us Apart From Our Competitors? Our commitment to you. Our business is customer focused, which means that you will always be left happy and satisfied with our work. Our ability to deliver high quality work on time, every time. When you work with us you won’t have to worry about us missing deadlines or not finishing things to a high enough quality standard. Our top of the range employees. Everyone who works with us shares out company vision, and understands how important things like customer service are to us. What Services Do We Offer In Joondalup? Glass pool fencing – Our glass pool fencing include the supply and installation of both frameless and semi-frameless glass fences. All our fences are built with top of the range materials to comply with the relevant WA regulations. Tubular pool fences – That’s right, we do more than just glass fences! Our team also has the skills to install a range of aluminium or steel tubular pool fences according to your needs. Balustrades – We also offer a range of glass balustrade construction services. We can supply and install both internal and external balustrades which are compliant with the relevant Australian Standards. Slat fencing – Aluminium slat fencing is durable, affordable and extremely attractive. With the look and texture of wood, but the durability of aluminium, these are fast becoming one of our most popular products. If you’d like to find out more about how we can help you with your glass or other fenin needs in Joondalup, then our friendly is here to help. Get in contact with us today!